NEW Darl-INC's in the house! We received beautiful new fabrics from Italy last week. Available in sizes XS till XL, or mail us with your specific sizes. Check out our shop to see the Newbies! YEH BABIES! nog 1 nachtje slapen. Wij staan met z’n 3-en voor je klaar om voor fantastische prijzen onze Mini Leg-Inc’s aan jullie te verkopen. Wij hebben er zin in en verwachten dat het druk zal worden! Dus wees er op tijd bij. De deuren gaan open om 12.00 uur en op is op! 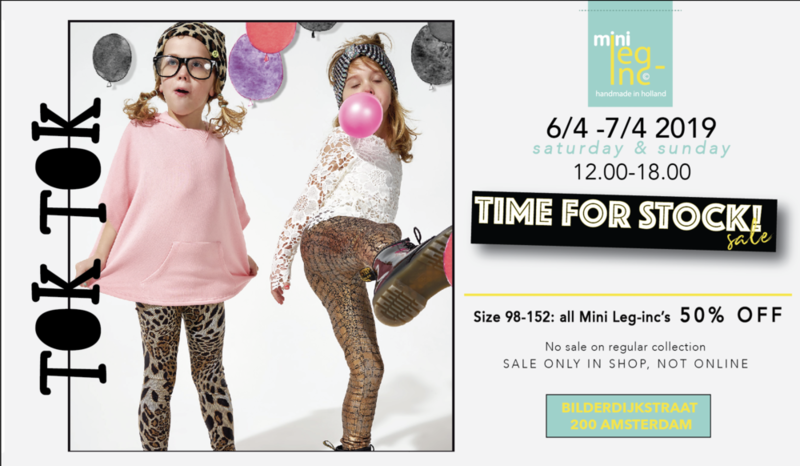 In 2 nights we have our famous Mini Leg-Inc Stocksale. Prices between 7,50 and 25 euro. Sale is only in the shop, not online. So let’s meet @ the Bilderdijkstraat 200 from 12.00-18.00 on the 6th and 7th of April. For a very long time we, @Leg-Inc, are dreaming about the Perfect Photoshoot. Perfect means for us: models in all sizes, gender and age. If you are interested to join this campaign, please send us an email at info@leg-inc.nl, with your sizes and a nice picture! When time comes, we will invite you and we will shoot our perfect pics!